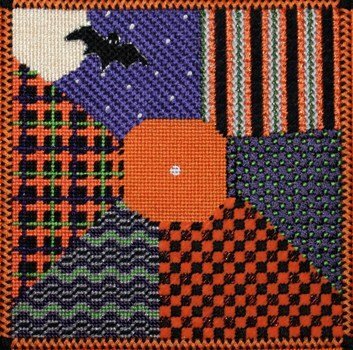 This Halloween candy box top needlepoint design is handpainted onto 18 mesh Mono Zweigart needlepoint canvas. The lid comes with a knob that has a halloween theme. 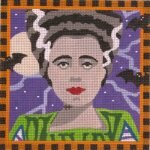 This Halloween candy box needlepoint canvas usually ships within 7 days. If for some reason there is a delay we will let you know.